We are happy to announce the launch of our managed WordPress hosting service, Pagely. It took us about 60 days to put this service together, and we feel privileged to say that within minutes of launching, paid customer began utilizing the service. Pagely is a service that automates the configuration and installation of the popular WordPress platform and includes web hosting, personalized domain name, and email service to clients after a 2 minute setup. Only a 2 Minute Setup? Yep. Check out this 1 minute video of the 2 minute setup, yes we sped up time. You. 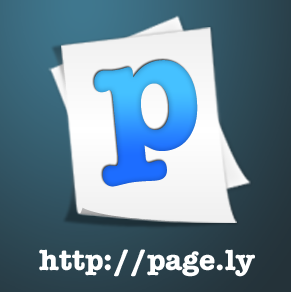 Pagely is perfect for people that want a great looking feature rich website, but not the hassle or expense. Pagely is a child of obuweb.com, a web design and development firm based in Sunny Arizona. More specifically, Pagely was designed and coded by Joshua Strebel, the President and Founder of obuweb.com, co-founder of Bestpartyever.com from the idea and plan of Sally Strebel, co-founder, who tests and markets the service. Pagely is the best place to start. If you have any specific questions you can also ask them on twitter. We truly hope you find our service useful and we look forward to helping you or your small business create a better website, fast. Thank you.